Look no further! 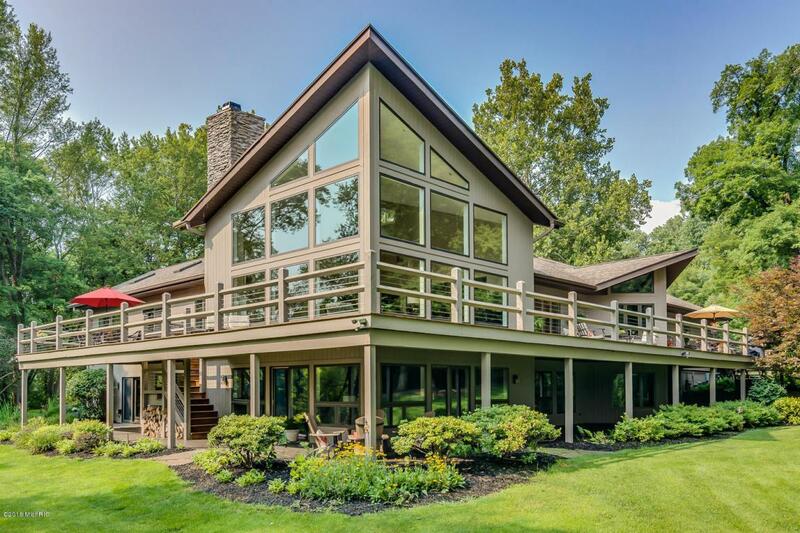 You have found your own private, riverfront retreat from which you can enjoy the panoramic views both across the river to Bertrand Park, and along the river banks to the north and south. Take a deep and refreshing breath as you walk in the front door to your home and see nothing but nature everywhere you look. 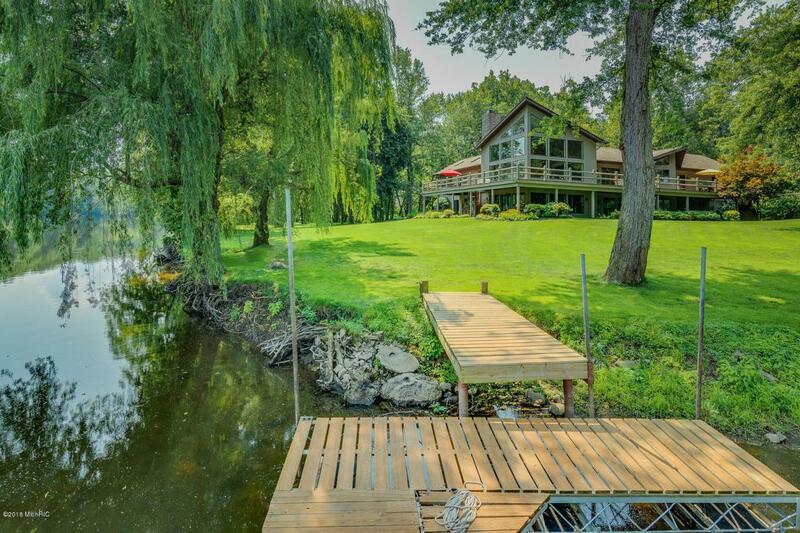 This executive ranch home was nestled on this large riverfront parcel with precise care to take advantage of the natural light and views throughout the day. The open concept invites you to savor each architectural detail that was planned with incredible devotion to perfection. Hardwood flooring, soaring ceilings, exquisite yet simple lines make this home an easy choice for the modern buyer. Wake up in the master suite to the natural light and breezes, & step...... out to your deck to enjoy the morning paper, or cozy up in the sitting area to enjoy your coffee before starting your day! Generously size walk-in master closet and master bathroom. The walkout lower level will exceed your expectations. Every single room has a view of the river, including the three bedrooms, family room, recreation room/bar, and the office. The office would also make a perfect in-law or guest suite with a private entrance. Steel core garage floor permits the perfect space in the basement for a wine celler or safe room. 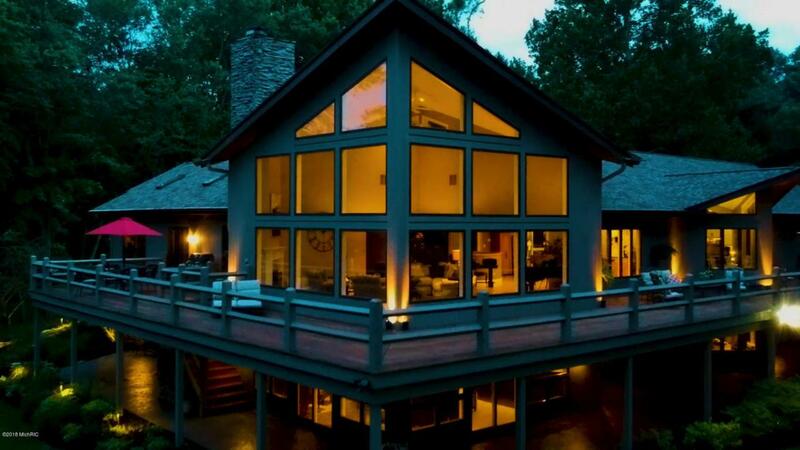 This home is truly designed to both entertain a crowd, and to enjoy peaceful evenings with one another. The 40' x 80' utility building is perfect for the car collector, to store boats and trailers, or to use as your private workshop. With its 15' entrance, 220 electric, heating and cooling, soft water system, concrete floor with 20' drain, half bath and much more, this man cave will NOT disappoint! Ask for the full feature sheet on this spectacular home. Fireplaces are both woodburning and gas log. Exterior painted in 2016. Too many details to list! 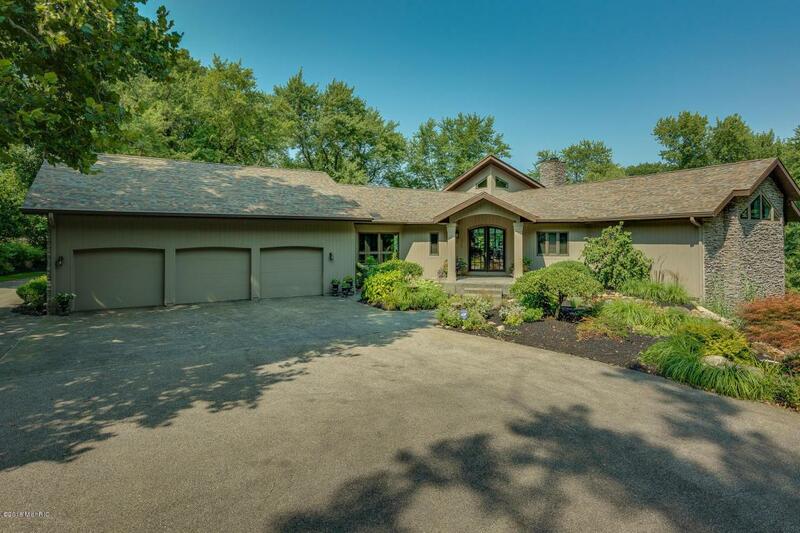 Listing provided courtesy of Monica Eckrich of Cressy & Everett Real Estate. © 2019 MichRIC, LLC. All rights reserved. Information deemed reliable but not guaranteed.